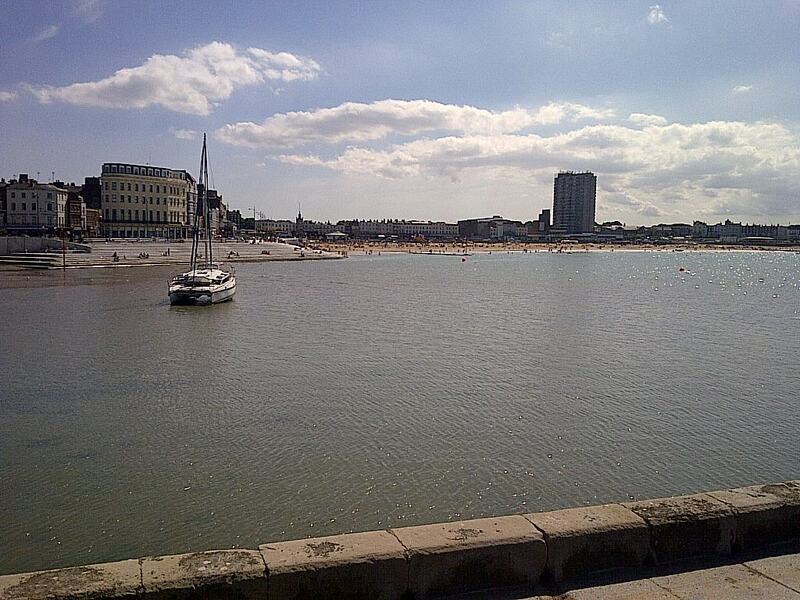 We are lucky enough to be working on a fabulous house in Ramsgate at the moment (updates on this to follow) so yesterday, after work was done and given there was a barmy summers afternoon going on, I found it impossible to drive past Margate without stopping. On a flying visit, I did a too quick tour of the Turner Contemporary gallery which inspired the life out of me and a wander around the Old Town which if you are looking for some vintage, retro, mid-century modern, one of a kind action, is the place to go. I will be returning. Do you remember the Jolly Boys outing to Margate and the blown up coach? Still makes me laugh. If you take inspiration from the past for your interior decorating, the new book, Retro Style by Katherine Sorrell from Merrell Publishers will be right up your street. It is filled with good advice, brilliant ideas and gorgeous photography. It includes numerous case studies, a good directory, and lots and lots of nostalgia. This book would make a great Christmas present – especially for yourself! Mid Century Modern is a trend that has been around for quite a while, inspired perhaps by the popularity of the ‘Mad Men’ TV series and a nostalgic wish for simpler time. And now, with the forthcoming ‘Pan Am’ TV show set in the early 1960’s about to hit our screens, the trend is having a second revival. We look at some of the best modern interpretations of the era. This hand painted and hand carved chair by Chelsea Textiles is a great example of the paired back but elegant shapes that epitomised the era. Teamed with a simple but unusual metal lamp this room could have been taken straight from the 1950s but has a simplicity that works just as well today. The mid century modern colour palette was a bold and vibrant one, perhaps due to a need for warmth and colour in a post-war society. 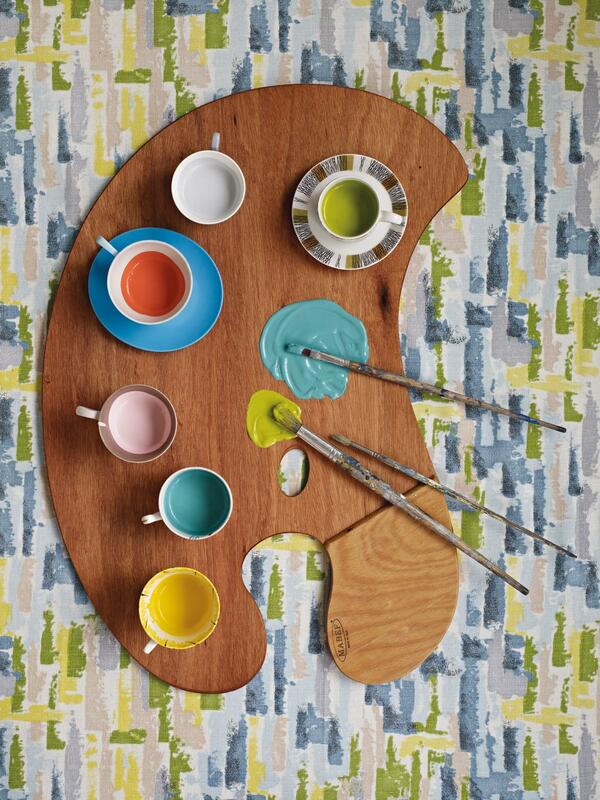 if you want to capture some of this spirit, Fired Earth have bought out a specific mid century modern paint range with some very strong, eye catching shades. 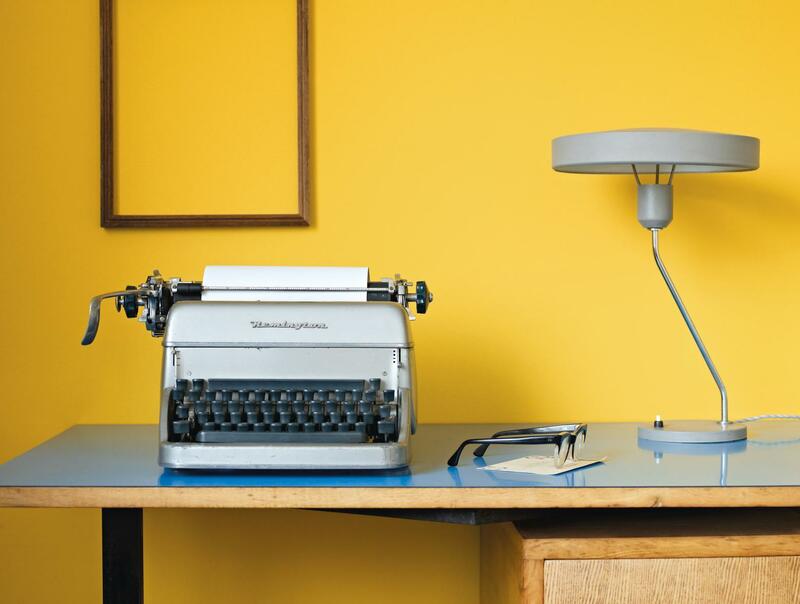 The punchy yellow from the Fired Earth range makes a real statement as a backdrop to a muted grey and wooden desk. The vintage typewriter is fabulous and much nicer to look at that a modern laptop! 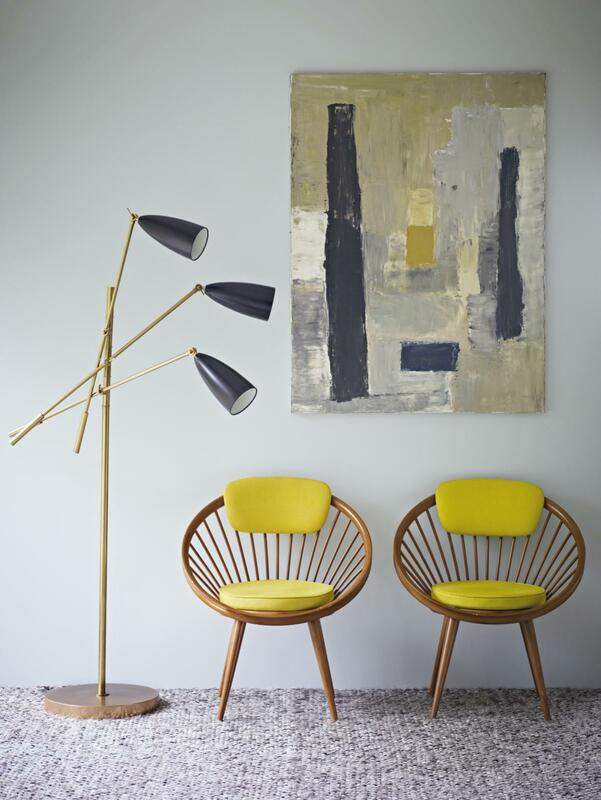 But if a whole wall is too much for you, a simple pop of mid century colour such as in this image, has just as much impact when teamed with a soft grey backdrop and one or two stand out pieces of furniture from the era. These nesting metal tables are the stand out feature in this room for me, the pared back shape of each table is fuss free, but beautifully designed and the soft muted colour palette is restrained and beautiful. We all love Cabbages and Roses for their pink, light blue and soft red roses but their homewares style guide on their website shows how gorgeous their designs also look in black and smart neutrals. I was really blown away by their lovely and inspiring images and whilst once I had browsed through the whole style guide, there seemed to be quite a few things in my shopping basket. Viewers beware!